There are countless choices when it comes to tent or RV camping in Washington State campgrounds. Washington State is one of the greatest camping destinations. All four corners of the state are filled with impressive campgrounds and amazing natural attractions that draw visitors all throughout the year. There are campgrounds near every major city including Seattle, Vancouver, Yakima, and every other part of the state. The parks that serve as home to these campgrounds offer activities such as fishing, boating, swimming, and best of all, some of the greatest hiking opportunities west of the Rockies. The following hot spots are some of the most popular destinations for campers who visit Washington. 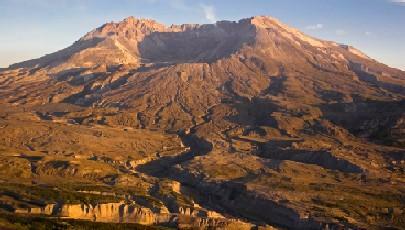 Mount St. Helens is one of the most famous Washington State landmarks of all of them. It was made famous upon its eruption in 1980, leaving an entire chunk of the mountaintop completely obliterated. The entire area surrounding the mountain is an amazing geological lesson about wildlife recovery after such remarkable natural events. The Mount St. Helens National Volcanic Monument (1-360-274-2114) on location provides a detailed description of geological events that served as a prelude to the eruption. The two closest state campgrounds near Mount St. Helens are Seaquest State Park and Lewis & Clark State Park. Seaquest is only five miles from Castle Rock and offers hot showers, excellent campsites, and right next door to the Mount St. Helens visitor center. The Lewis & Clark State Park is a sprawling campground in an old-growth forest, including a number of streams and other wetlands. Both state parks have easy access to the areas best hiking trails. Another top destination in Washington is Mount Rainier, famous as one of the state's active volcanoes. Mount Rainier is one of the state's top skiing and snowshoeing destinations, but it is also a spectacular summertime spot for camping and hiking. There are several state campgrounds near Mount Rainier that offer easy access and stunning scenery. Posey Island State Park is a beautiful, small campground reachable only by boat. Palouse Falls State Park is also near Mount Rainier, however it is one of the more remote locations so be prepared to hike. An obvious perk is the 198-foot high Palouse Falls. It is underused, so most campers find that they can enjoy all 1282 acres without being bothered. Palouse Falls has 10 rustic campsites with limited facilities. Another very popular Washington hot spot is the Grand Coulee Dam. This dam, built in 1942, is touted as the largest concrete dam in the U.S. In a feature reminiscent of something you'd find at Disney World, the Grand Coulee Dam runs laser light shows every night during the summer. This area offers visitors a great deal, including water sports as well as hiking and camping.There is one state campground that's conveniently located near the Grand Coulee Dam. Steamboat Rock State Park has both RV and tent sites along the Banks Lake which also offers excellent fishing. Of course if the State campground is filled up, there's always the nearby Grand Coulee RV Park and Kings Court RV Park that usually have spots available. The Washington State Parks website is filled with useful information including complete listings of all of the state parks and campgrounds, regulations, and even news releases. Considering the fact that there are over 5,000 State Parks in Washington, it's likely you'll be able to find space at a campground that you'll like. The state charges a $7 reservation fee in addition to the cost of the campsite. Reservations aren't usually required, but they're always a good idea during the busiest summer months so that you know you'll have a spot when you show up. Some campsites are only run on a first-come, first-served basis, so make sure to check availability first. Call the information center for more information at (360)902-8844. Reservations are available directly online, or over the phone at (888)226-7688.